With this video we start to show our work in meeting and event planning. Luxury Weddings and Mitzvahs and more. 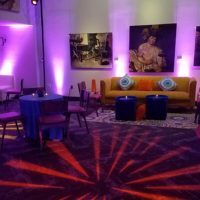 This is just a sampling of our experience working with event planning, design, decor, rentals, and production. This is just short taste of our Destination Management work. Doing more and more with off site activities, transportation, team building, and entertainment. Stay tuned for even more fun!!! Vermilion Events signs with Hall of Fame Players Foundation for 2015 Classic events for the big game!